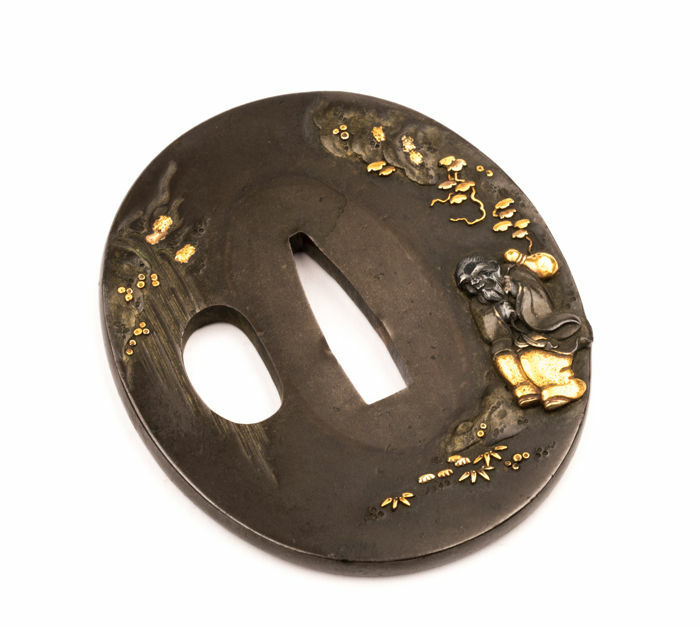 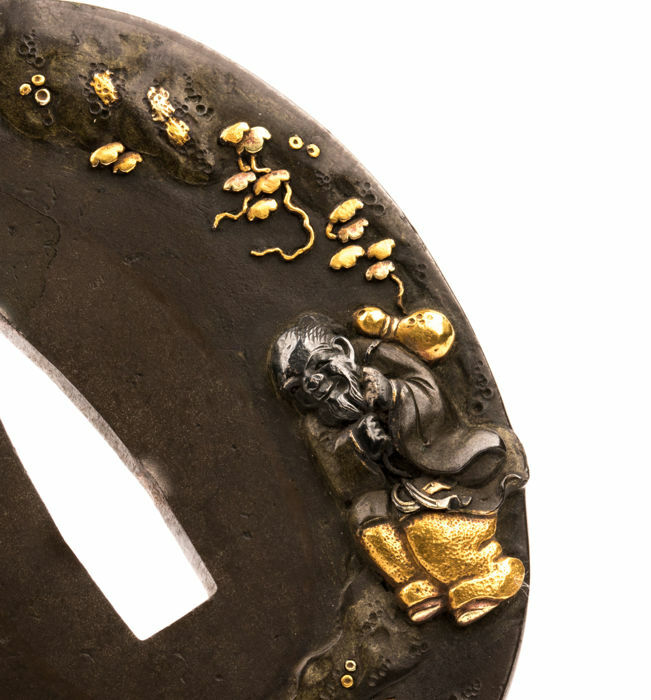 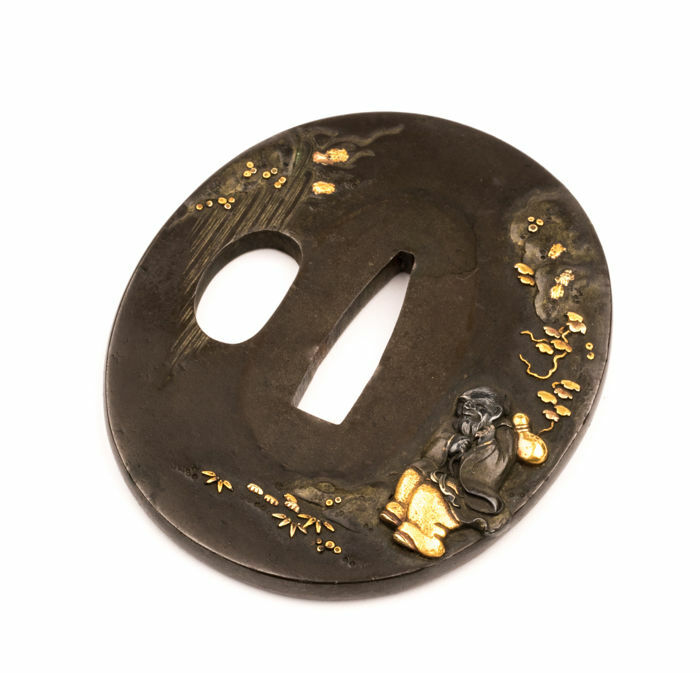 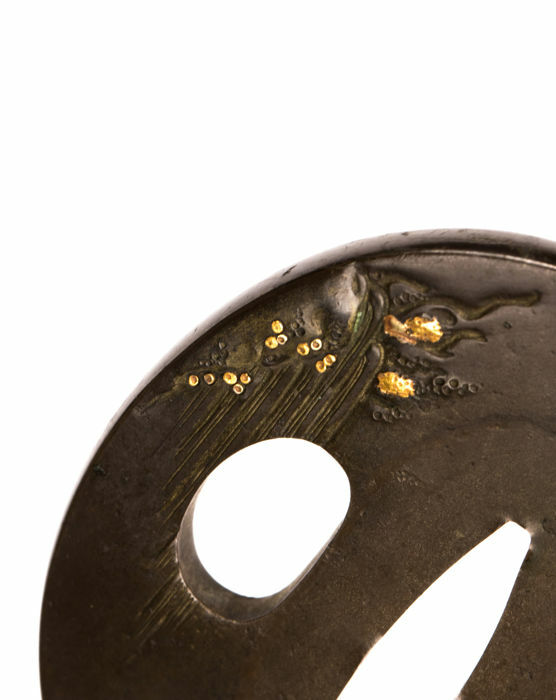 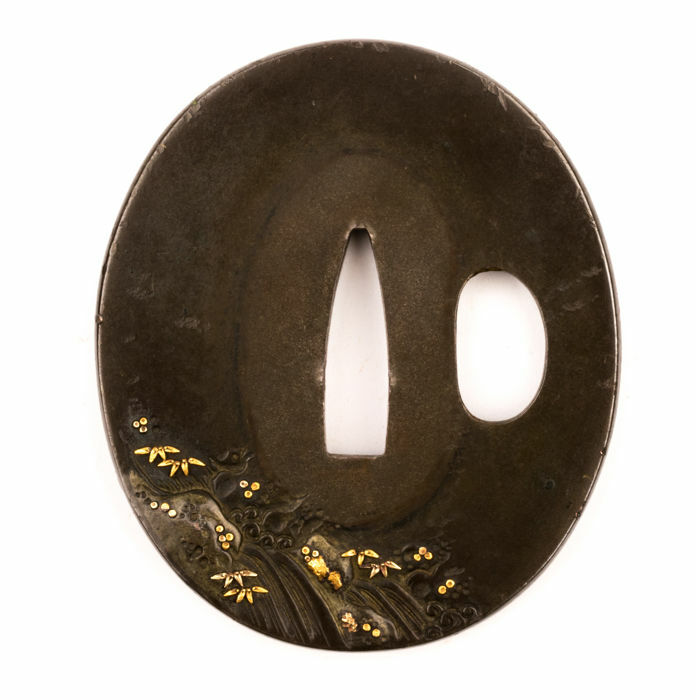 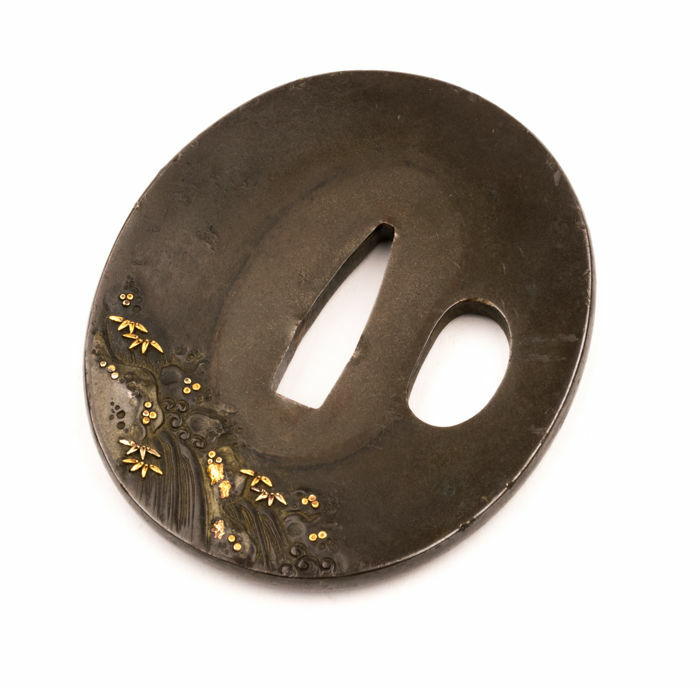 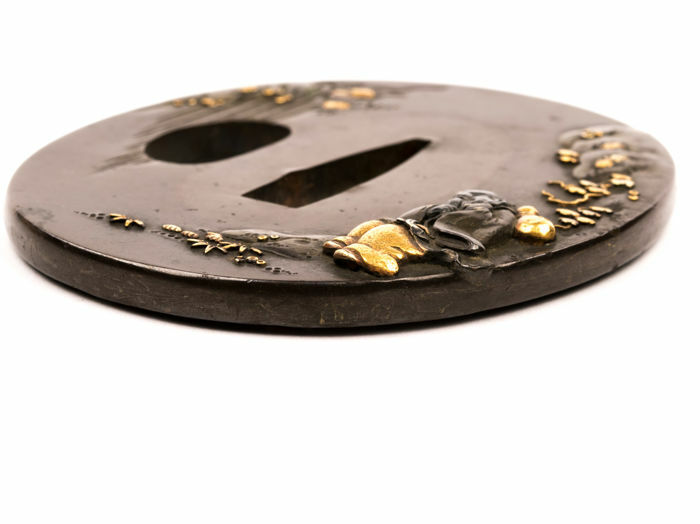 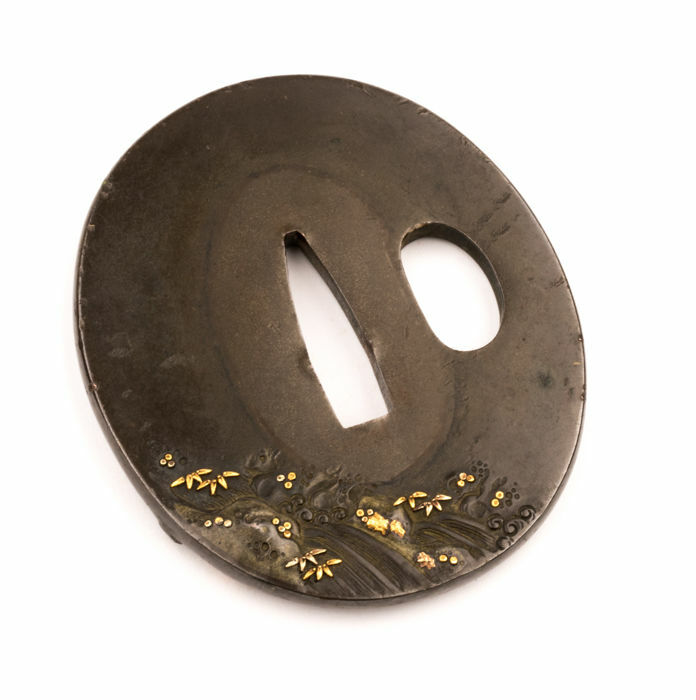 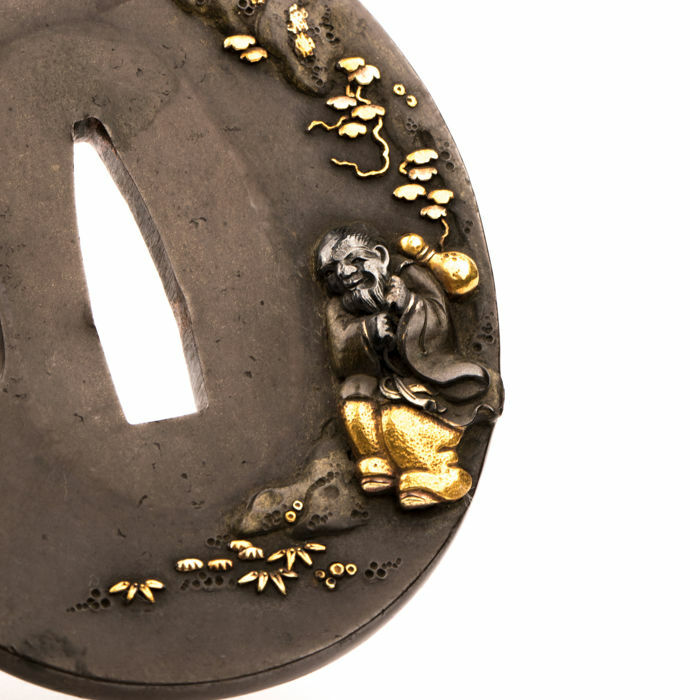 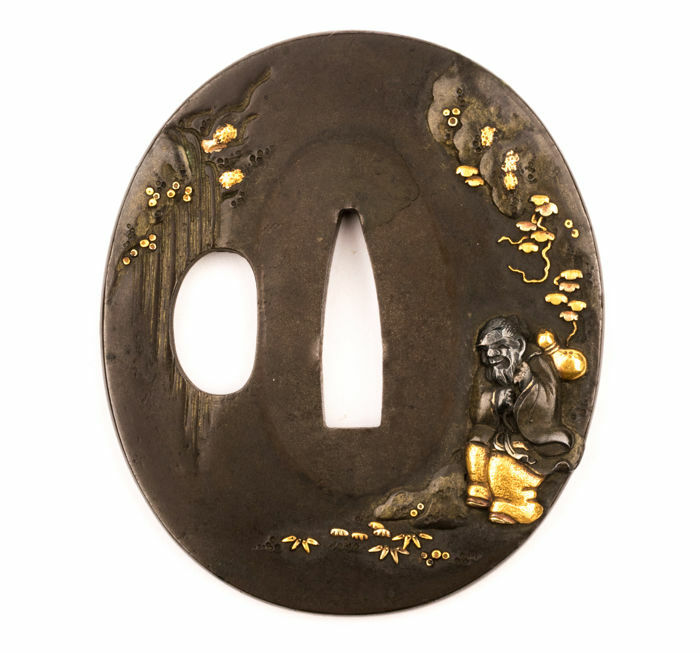 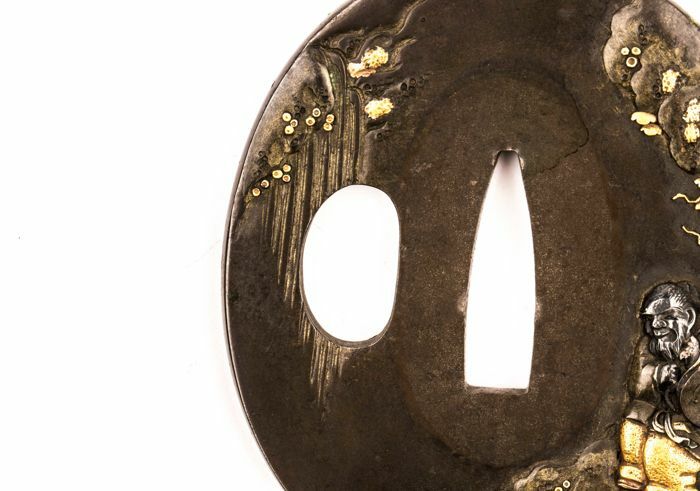 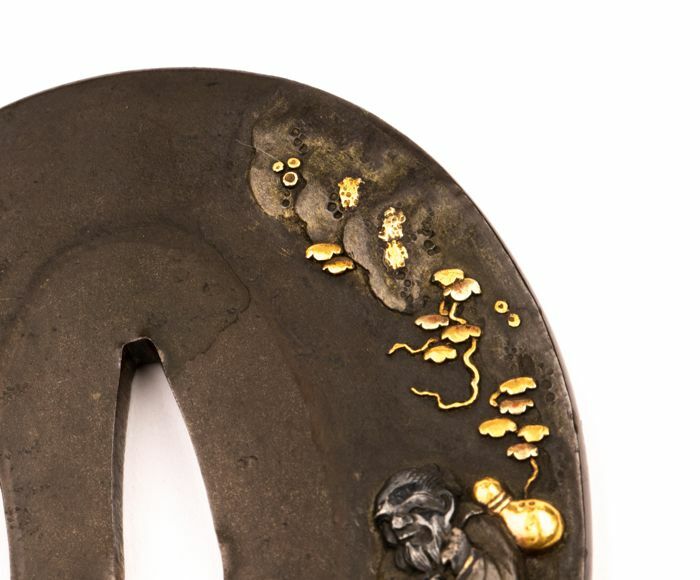 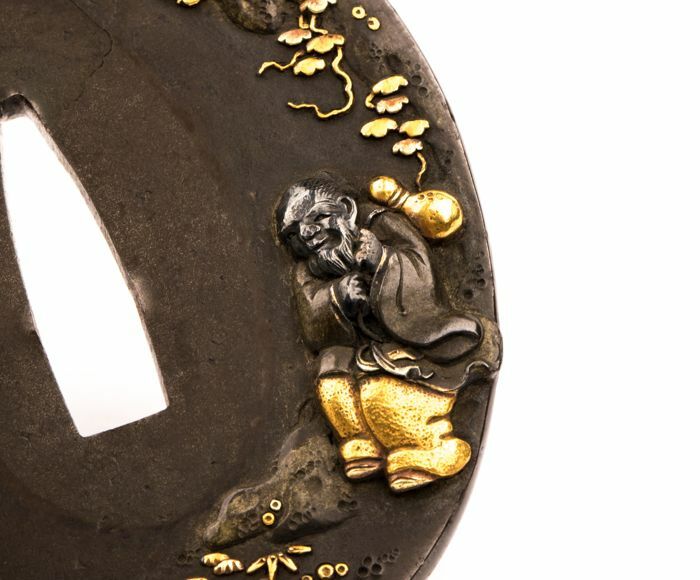 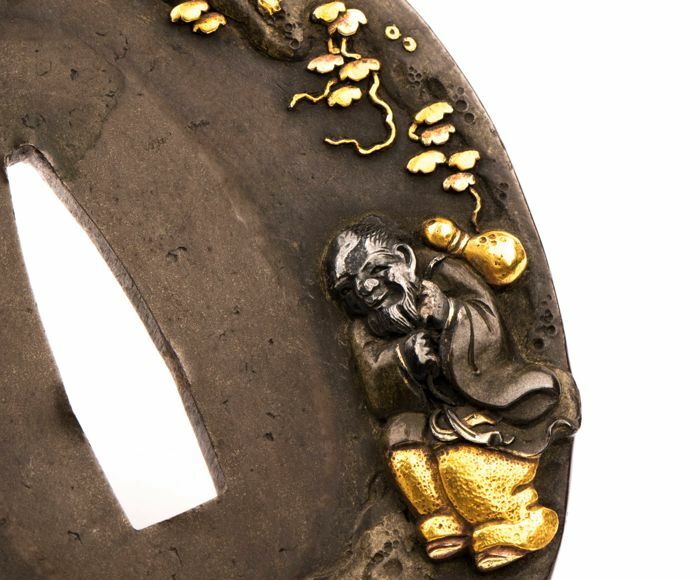 Japanese tsuba made of shibuichi (alloy of copper and silver). 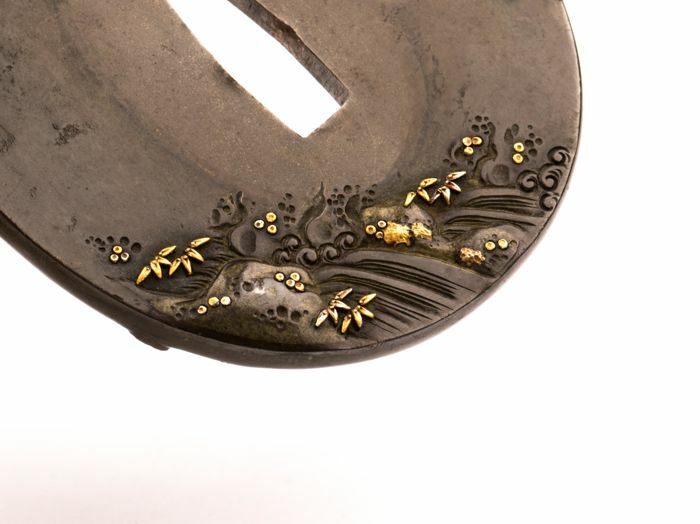 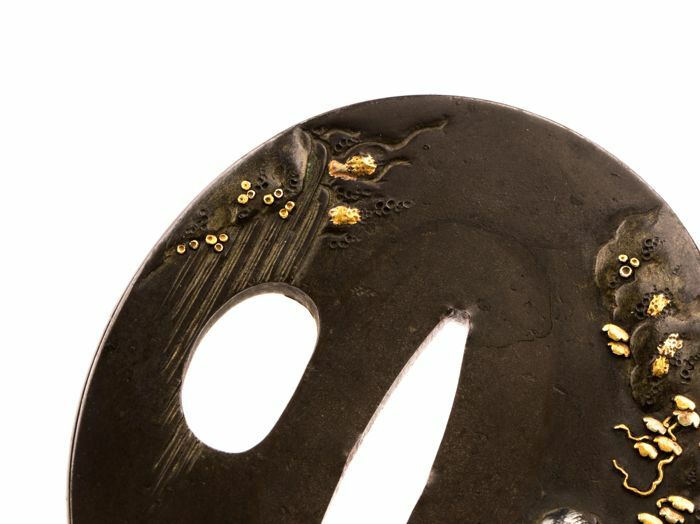 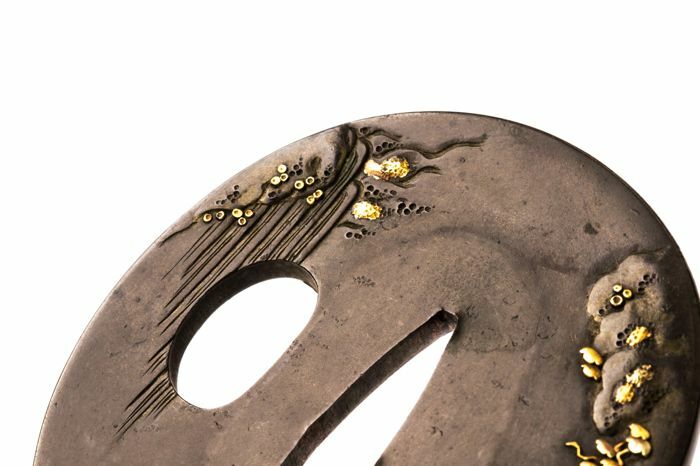 Decorated with gold, shakudo and brass inlay. 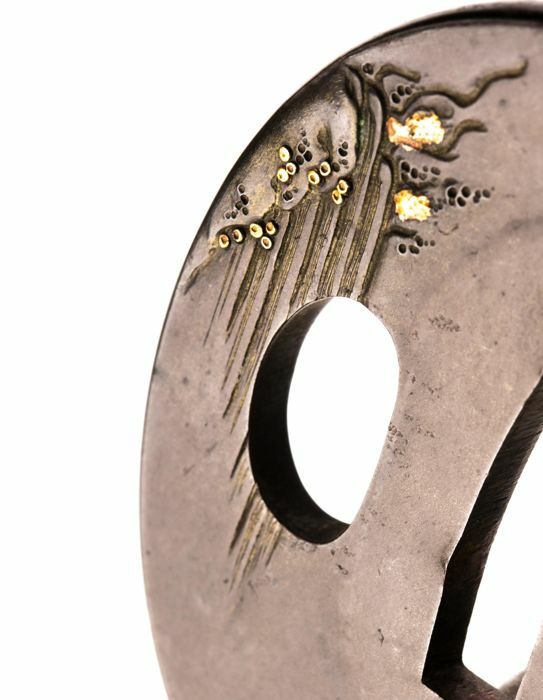 Please take a closer look at the waterfall, it is of spectacular quality. 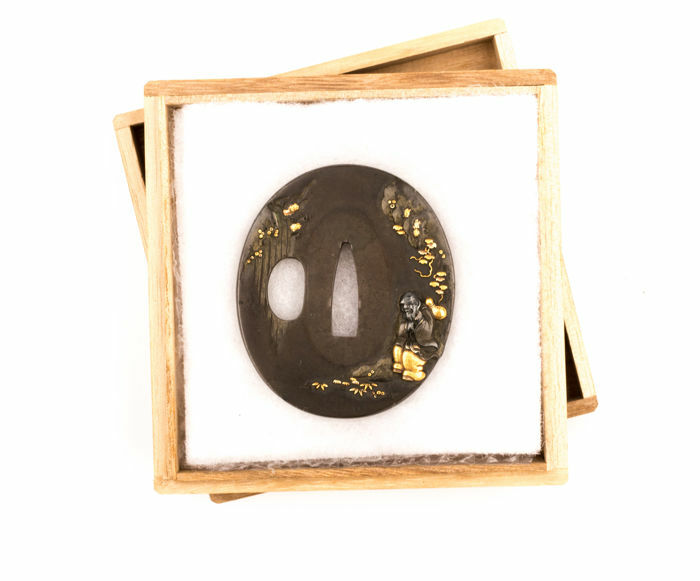 You can pick up this lot from the seller: Warsaw (Mazowieckie), Poland.